In college football, it’s widely known that freshmen players have to prove themselves to see the field on gameday. Because older players are more experienced and battle-tested, the upperclassmen are usually the ones who earn starting roles. In Saturday’s game alone, however, No. 21 USF started five freshmen or redshirt freshmen, with several others having an impact in the game — including the Bulls’ leading rusher, Johnny Ford. There are always some young players on each team that stand out, however. For No. 1 Alabama, two freshmen have earned starting roles, cornerback Patrick Surtain Jr., as well as wide receiver and return man Jaylen Waddle. No. 10 UCF starts just one redshirt freshman — right guard Cole Schneider. Ford led USF with 164 rushing yards and three touchdowns Saturday. Redshirt freshman Randall St. Felix led all receivers with 123 yards and the Bulls’ lone receiving touchdown, but the success of the freshman doesn’t stop on the offensive side of the ball. Terrence Horne Jr. tied an NCAA record earlier this season against Georgia Tech with two kickoff returns for touchdowns. Though, his season was cut short when he tore his ACL in practice. Redshirt freshmen Mekhi LaPoint and Nick Roberts led the team with 11 and 10 total tackles Saturday, respectively. Roberts tacked on his second interception of the season in the fourth quarter with a 61-yard return that set up a quick Ford rushing touchdown. Bentlee Sanders and Vincent Davis also made it on Strong’s list of notable freshmen on the team. On Saturday, freshman Brad Cecil started at center alongside fellow freshman Donovan Jennings, who has started the past three games. With all the young players on the team, however, there are bound to be miscues. One of the older guys on the team is Jordan Cronkrite, who played for Florida before transferring to USF and sitting out a year. 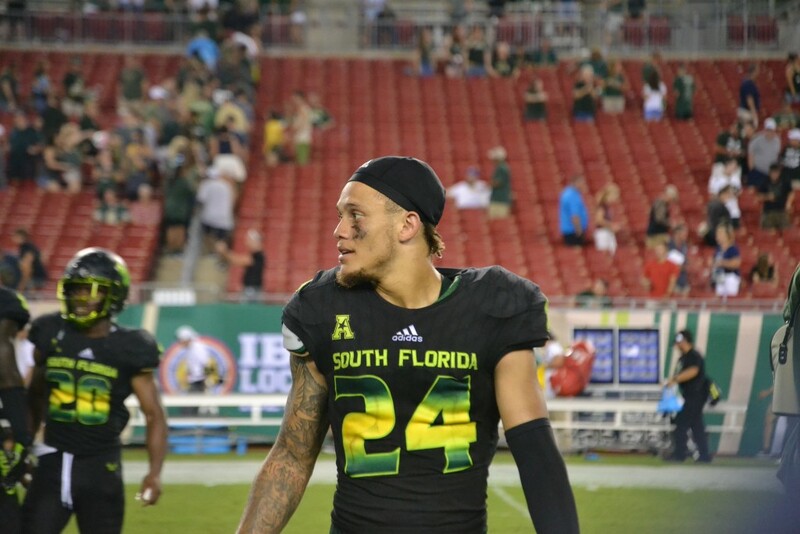 Even though he’s only played seven games in a USF jersey, he still has some more experience than true freshman Ford. Cronkrite said that he and Ford keep each other motivated throughout the week because they are working harder due to injuries affecting other running backs. The five-foot-five 168 pound Ford has some tips for Cronkrite that are a little different. These freshmen and redshirt freshmen are all part of Strong’s first two recruiting classes — many of which have figured into prominent roles on the team.